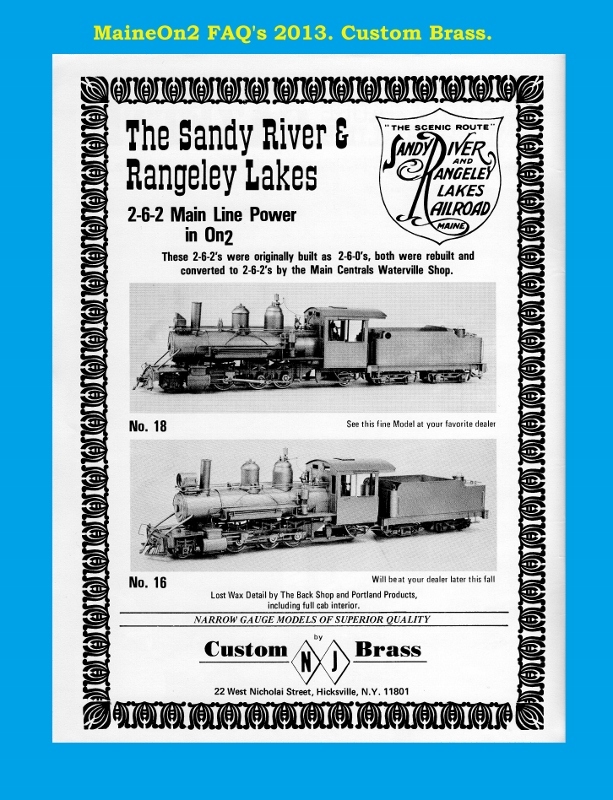 The model was reviewed by Bob Brown in the Narrow Gauge & Short Line Gazette January/February edition of 1980 with additional input from Peter Barney. 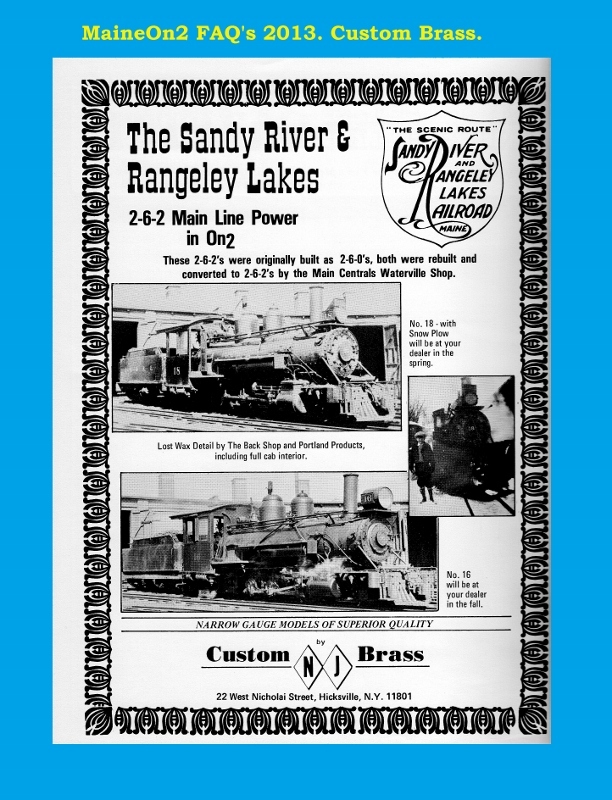 Bob Brown wrote “Right out of the box my locomotive ran smoothly, slowly and with good throttle response. I do not plan to modify the power mechanism at all”. It was noted that the model lacks a valve gear/cross head yoke and that the ashpan was missing. The sand dome is 6″ too high and the sander lines on #18 are those for #16. 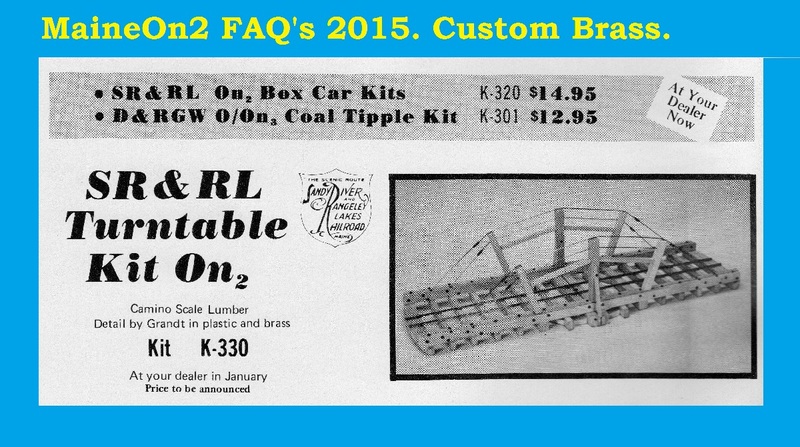 The prototype #18 had metal grid running boards whereas the model has wood grained boards. 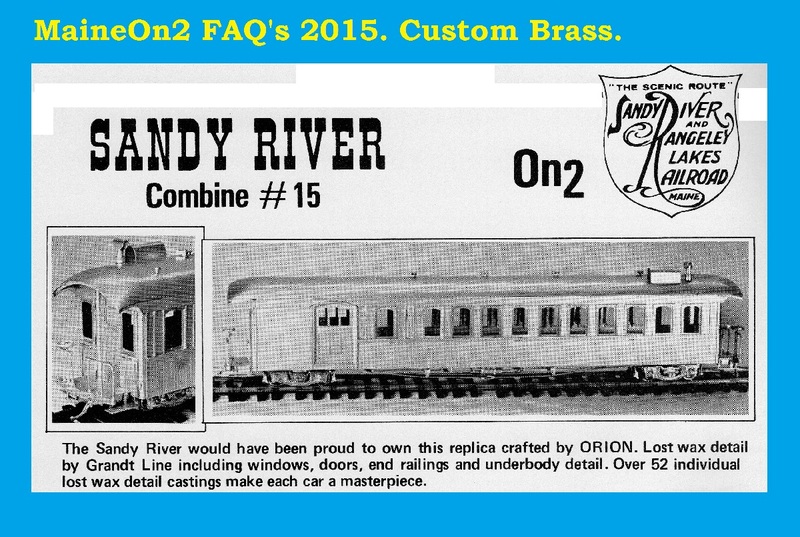 It was also suggested that the front boiler braces be replaced by more detailed brass castings. 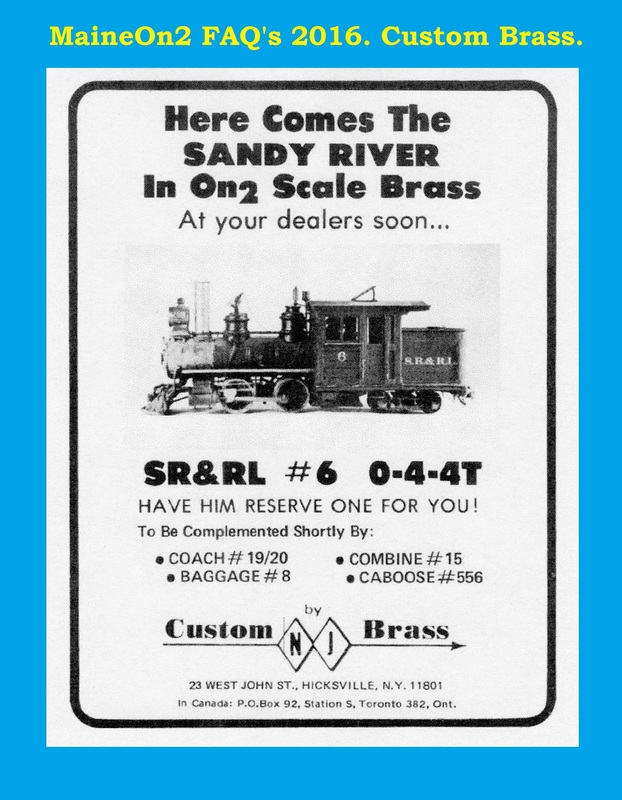 The Custom Brass models of SR&RL #16 and #18 were produced at the same time and incorrectly share some features, while other prototype differences are correctly modeled. 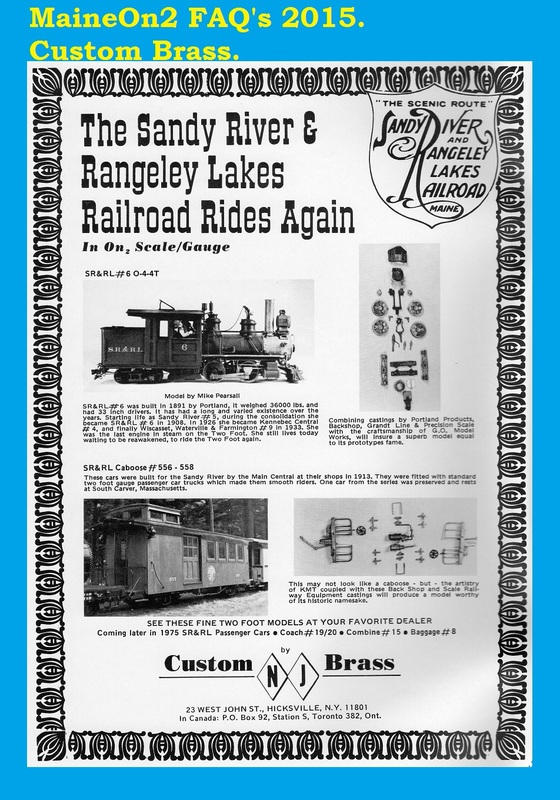 See also our post on the CB SR&RL #16 by clicking here. 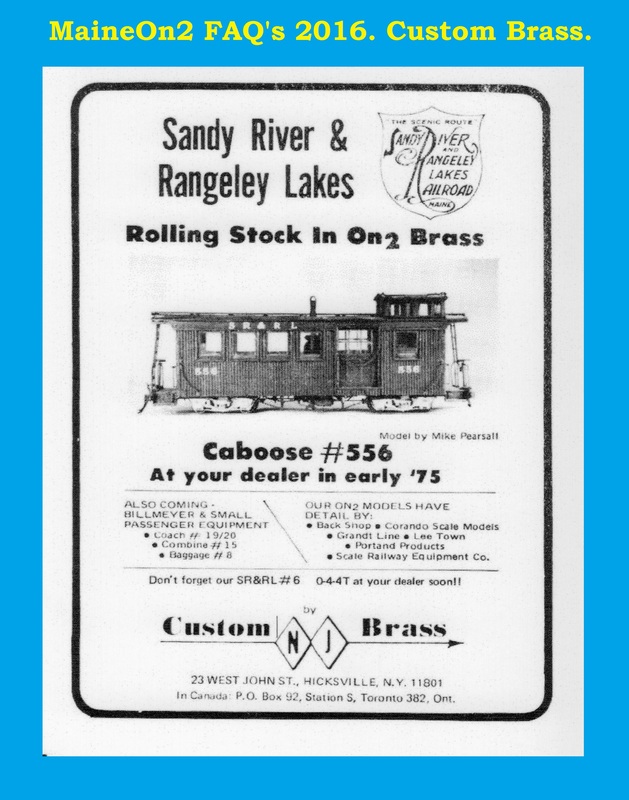 Terry Smith writes; I acquired this example of #18 at the Edaville Rail Fan fair in 1988 as a non-running not quite basket case. 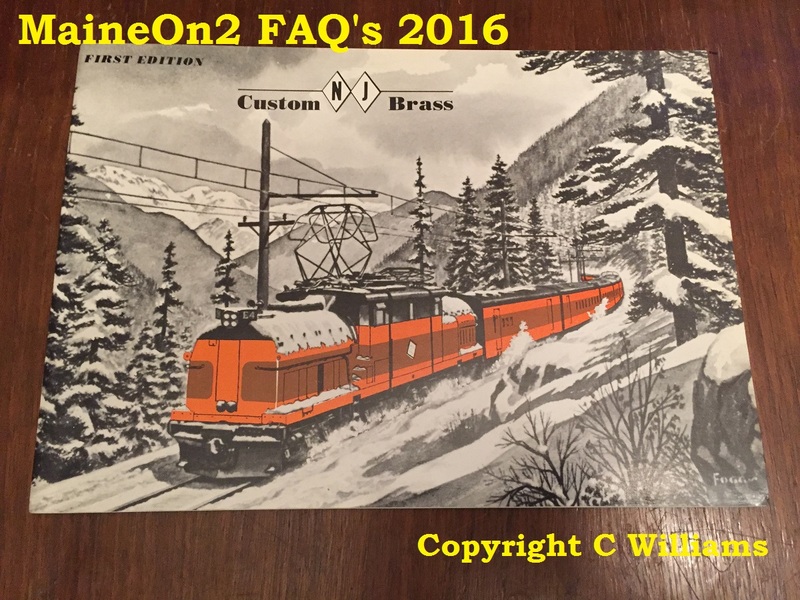 It was my first On2 brass loco. The “non-running” turned out to be caused by someone replacing the original motor with a very small coreless motor fitted with a 63:1 gearhead driving the original 40:1 gearbox. 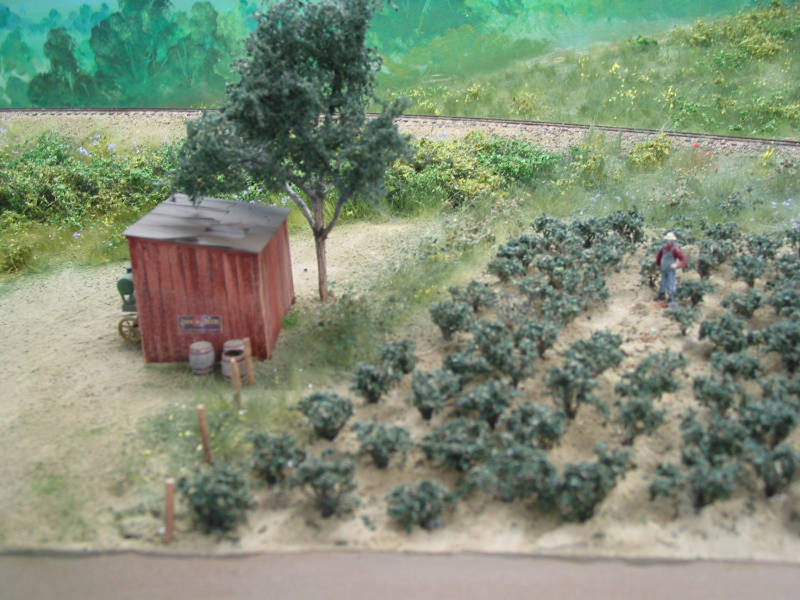 In my inexperience, I decided to update the drive to a Portescap RG4 unit driving on to the rear axle which entailed dismantling the rear axle and wheelset and replacing the RG4 drive gear and bearings with their 3mm diameter alternatives to suit the axle. 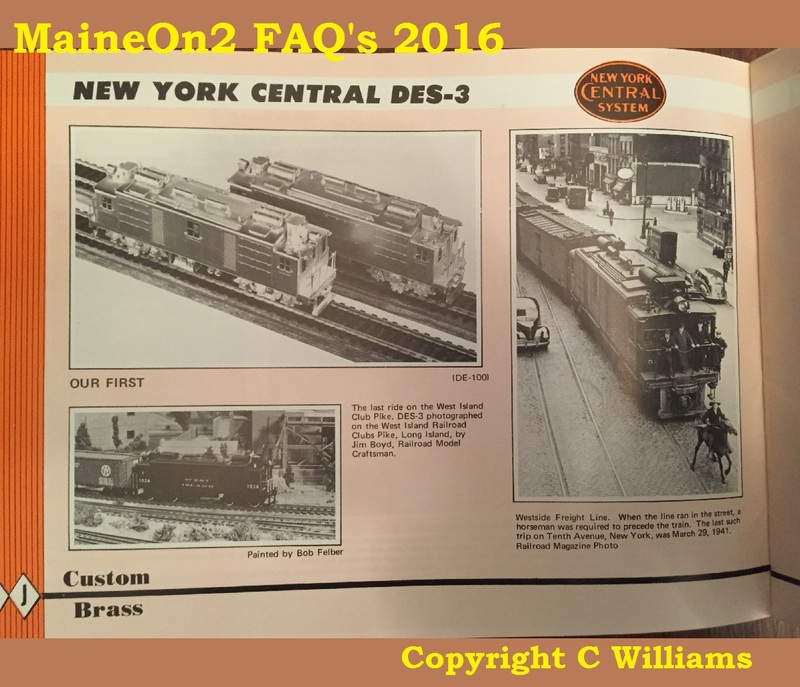 The loco was back dated cosmetically to match a picture of the prototype just after it had been rebuilt into a 2-6-2 by the Maine Central around 1915 and before the electric headlight was installed. The sand dome was reduced in height and the steam dome was sleeved to increase its lower diameter. The stack was turned parallel and a Baldwin style cap was added. 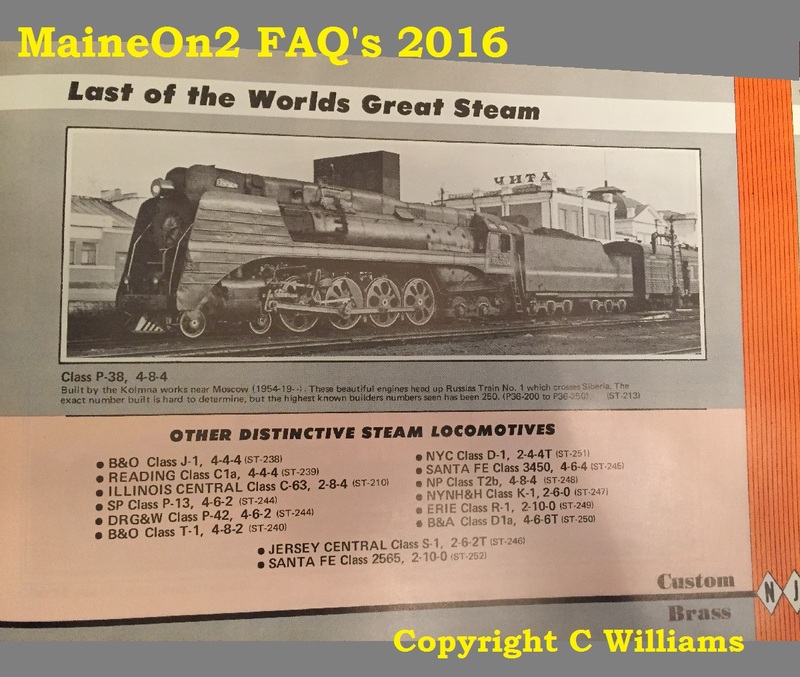 The firebox sides were set into the boiler cladding and an ashpan/lower firebox was fabricated to house the PFM ballast/boiler glow bulbs. The rear truck was modified to work on 36″ radius curves without electrical shorting. Other modifications not visible in the photographs include fully equalising the tender trucks, adding all wheel electrical pickups and installing the PFM Sound System. Your model, the 18, has strap-end side rods. The 16 has round end rods, correctly modeled on the CB #16. 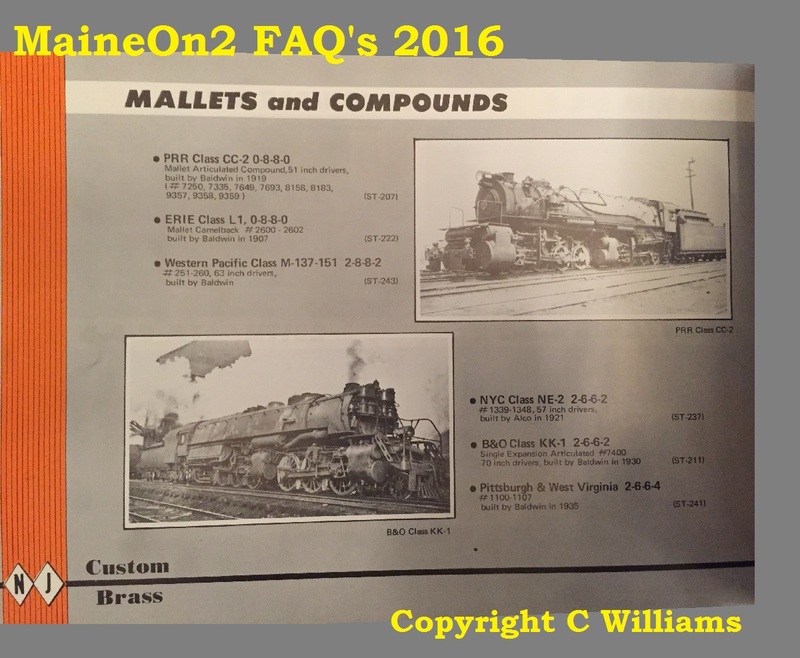 The smokebox fronts are different. 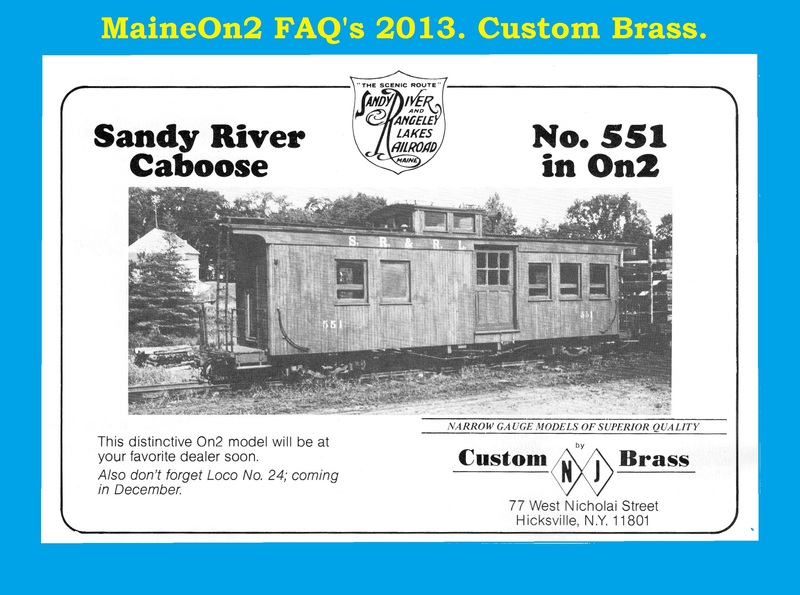 The CB model has the first #16 smokebox front, the original smaller front with an extra ring riveted to the outside. It was later replaced with a standard Baldwin design of the period with no door dogs, just boltheads showing. 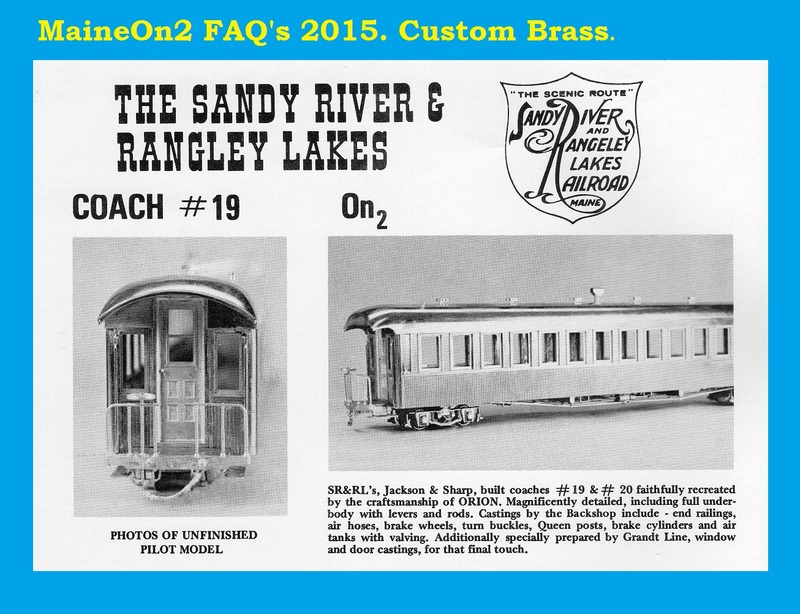 The 18 had a smokebox door with dogs throughout its life as it appears on the model.